Ideas can define and transform society, but how healthy is intellectual life today? In a period when Big Brother refers not to George Orwell but to a reality TV show, and when bright young things are developing gameshow formats rather than scribbling essays; when thinkers join think tanks to design short-term government policy rather than reflecting on and challenging the status quo, and when the ever growing number of graduates seem more interested in job prospects than academic endeavour, is intellectual life in terminal decline? 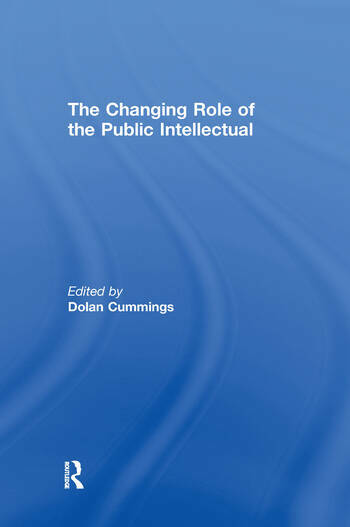 This book looks at the idea of the public intellectual, considering whether such thinkers are becoming an endangered species. It also looks at the legacy of relativism and ethical doubts about the pursuit of knowledge, and the effect of such developments on intellectual life. The final section considers the expansion of higher education and the changing role of the academic. Taken together, the essays in this collection form a comprehensive overview of the intellectual climate today, and the possibilities for the future. This volume was previously published as a special issue of the journal Critical Review of International Social and Political Philosophy (CRISPP). Dolan Cummings, Institute of Ideas, London, is the editor of the Institute of Ideas' forthcoming series of occasional papers. He also edits the Institute's reviews website, Culture Wars. He organises the Roundtable Rumbles at the Edinburgh Festival and is the editor of three books in the Debating Matters series. He writes a weekly television column on Spiked and is the author of two pamphlets: Surveillance and the City (1998), and In Search of Sesame Street: Policiing Civility for the 21st Century (1999).